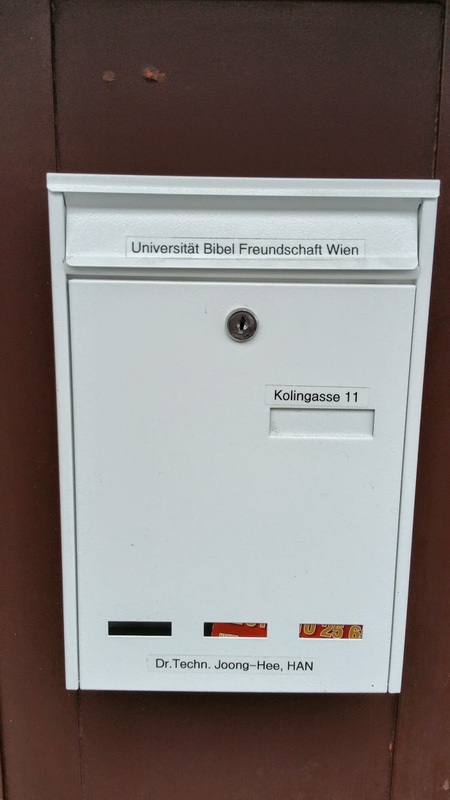 While in transit to and from Africa (to attend the African New Year Conference 2015), I had a chance to visit Austria and pray for the Bible Austria and Austrian campus evangelism. 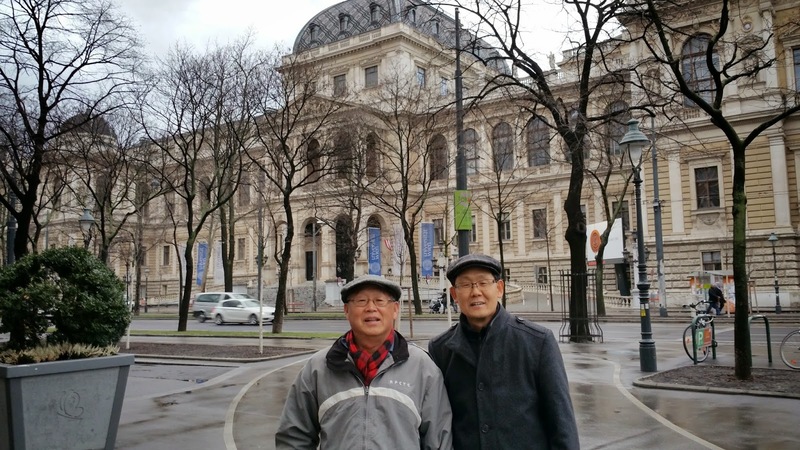 Dr. Han (Joong-Hee Han) pioneers the University of Vienna. He is from Cheonan UBF Korea (Yohan Oh of Cheonan). He worked on and earned a Ph.D from the Graz University of Technology, Austria. He now works as a scientist at AIT (Austrian Institute of Technology), Mobility Department working on the Electric Drive Technologies. 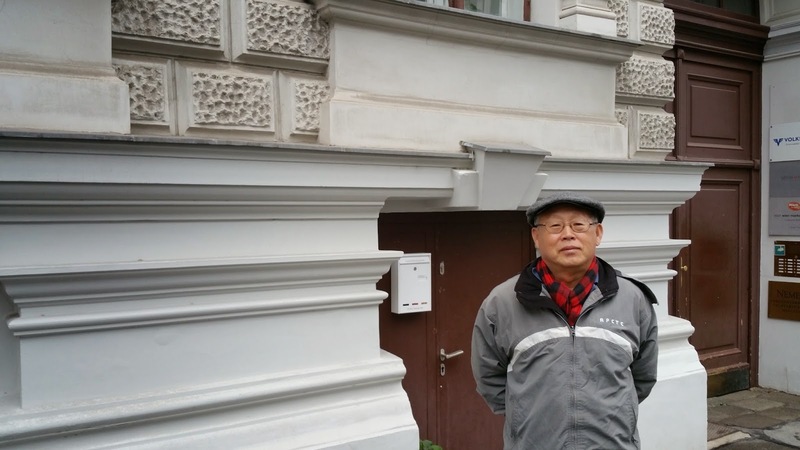 He took a picture of me while I was standing in front of the Vienna UBF Bible Center located across the street of the University of Vienna. In Austria the tuition for college and university education is free. Now there are aver 100,000 students studying at the university. He and his wife Sarah have five children: Lydia (79), Sarah (76), Lois (75), David (70) and Paula (6). He co-works with another missionary family (Daniel and Daniela). Msn. Daniel works at the Korean Embassy. During my visit Dr. James took me to the university campus, then to historical places like the place where they keep the teeth of the Apostle John. Inasmuch as he is a scientist working on electric drive technology (running hybrid car then cars that run fully on electric batteries), and since I myself had a keen interest in electricity, upon my further inquiries, he shared with me interesting stuff like Witricity as it had first been discovered by Nichola Tesla of Serbia. 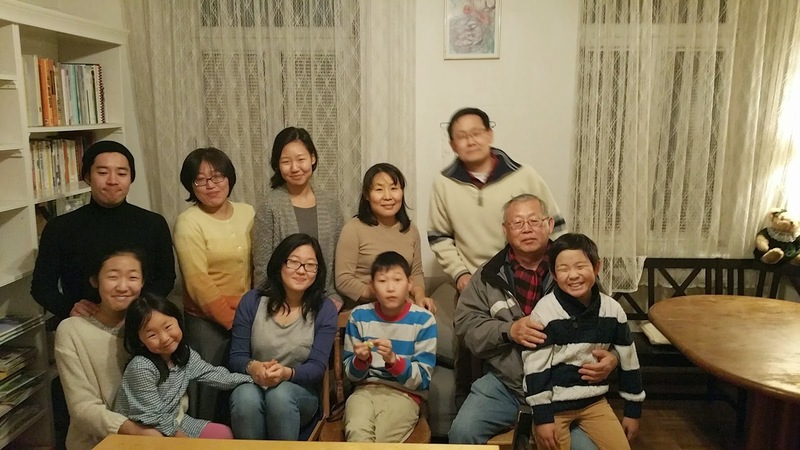 After an eating fellowship, I led a Bible study on Matthew 1:1, entitled "Jesus the son of Abraham, and the son of David", and prayed for the Bible Austria world campus mission. On my way back to the U.S. I had a chance to visit places like Admond where there is a monastery one of the largest in the entire Europe, and Salzburg, the town of classical music like Mozart as well as the location for the movie the Sound of Music. 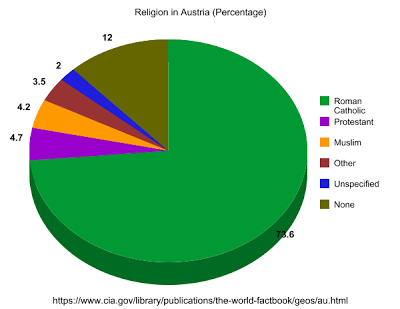 Austria is one of the wealthiest nations in the world. But inasmuch as the nation is materially rich the people are in need of the gospel, just as Jesus said, "You fool, tonight your soul is required of you." This nation with the Roman Catholicism being predominant suffers from the social ill of hatred based on religious bigotry. 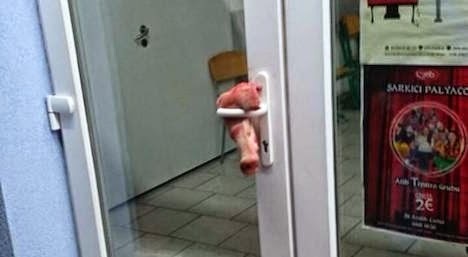 In a barbaric affront to Muslim sensibilities, part of a pig's head and some pork tripe was attached to the door of a Mosque in Vienna's 21st district on Christmas day. Bible Zambia, World Campus Mission!